Marketing tools for small business are free as they may already have issues regarding budget. Even though these tools are free they are very effective and can get you the desired results. Implementing marketing strategies become much easier if you optimize these tools. Free online marketing tools are used by millions of small business owner due to its result oriented and easy to use qualities. Contentmart: Contentmart is a content marketplace that serves as a wonderful platform not only for the authors and copywriters but also for those who are looking for the perfect wordsmiths. With the mission to bridge the literary artists and those who need their services, Contentmart has a categorical presentation of the lists of the content experts as well as the content requirements placed by the users. The interface is easy to use and features a structured navigation system for clients and writers to find each other. MailChimp- Email marketing has become one of the prime marketing tools over the years. Through MailChimp it is easy to build marketing strategies by connecting email campaigns to website. Also, integrate with Facebook and connect to the new subscribers. Gather feedback from MailChimp reports in order to plan new strategies. This is one of the best marketing tools for entrepreneurs starting their business. Hire professional writers at affordable prices to create persuasive content for emails and newsletters from Contentmart. This can boost your business by persuading your target audience. Canva- Creating a killer content is not enough to attract your audience. The content should look visually appealing and therefore Canva is the best tool for designing without hiring a Graphic designer. It has a wide range of fonts, images, templates and layouts of different sizes. This is really quick and convenient to use (if you are a creative enough). Due- This is another free tool for marketers that offers a time-tracking app to increase productivity. Due comes with an invoicing and payment system which is best for freelancers and entrepreneurs to bill clients without hassles. Buffer- Using Buffer is the best decision for any business to apply marketing strategies. One of the distinctive traits of buffer is its ability to connect to multiple social media accounts on a single dashboard. This can save a lot of time and effort while scheduling posts, creating campaigns and interacting with your customers. 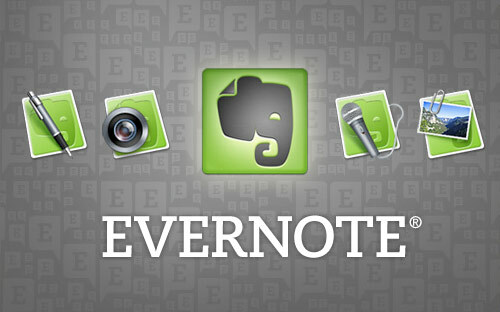 Evernote- Organization skills matter if you are running a business, as multitasking is a part of your daily routine. Evernote can be your best buddy in helping you storing ideas, trends, making notes, reports and listing down your priorities. This is easily accessible device in any device that you use. SurveyMonkey- This is an excellent online tool to collect consumer data, engage customers with your services, uncover trends and insights related to your business. And within minutes you can design, create and publish your survey all by yourself. Spaces’- Logo making plays a crucial part in branding, as it is one of the prime identifiers of your business. Without wasting many resources by hiring a designer, one can easily turn their vision of a perfect logo into reality. Spaces’ has a wide range of icons, frames and fonts required to make this possible. Hello Bar- This is simple yet most efficacious marketing tool which can convert visitors into customers. This is done by creating appealing banners that can drive the attention of your audience to your most vital content, products, services and messages. Promote offers or sale, encourage customers to contact you and expand your social media presence through Hello Bar. Create customized goals and make the best use of this incomparable marketing tool. Scraper- This amazing tool can help you pull content from website and export to an excel sheet. This can be used wisely in extracting competitor’s data for various data research purposes. This can contribute to your decision making process while planning data-driven marketing tactics. Once you start practicing these tools, you will definitely get addicted to the whole process. These tools will encourage you to plan more and more marketing strategies and open doors for new opportunities. Many entrepreneurs and startup enthusiasts rely on these tools as they are easy to use without hiring more employees and spending on their salaries. These tools are effective only if you have creative and intriguing content which has the power to convert your viewers into customers. So make efforts to create an excellent brand image through delivering gripping content. Hiring a professional writer is not that expensive if you prefer using Contentmart to create good content for marketing.